Sign up to our email newsletter to hear updates first for Notice to Mariners and Local News. Just provide your name, email, and select your preferences. Gippsland’s local ports provide safe havens and services to a wide range of users. The local ports and waterways play a vital part in local communities and support industries of importance to Victoria’s economy. Gippsland Ports is a Committee of Management with a Board appointed by the State of Victoria. It has responsibilities delegated from the Victorian Government for the management of five local ports and two waterways that incorporate approximately 1,430 sq km of some of the largest and most beautiful waterways in Australia. 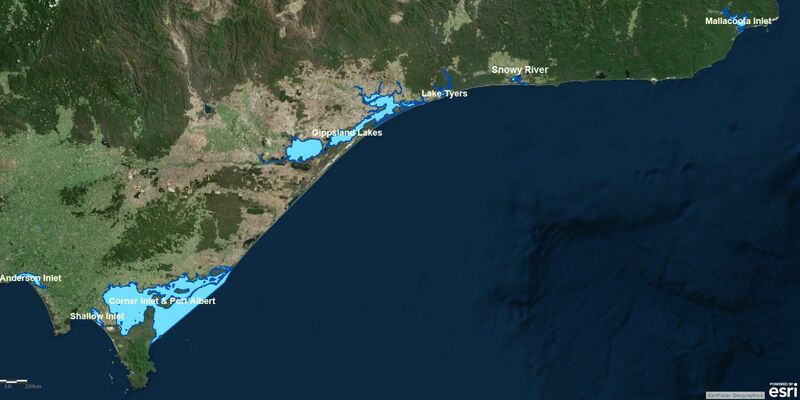 Gippsland Ports’ designated waters stretch over 720 kms from Anderson Inlet to Mallacoota on the south-eastern coastline of Victoria at: Mallacoota Inlet, Snowy River (Marlo), Gippsland Lakes, Corner Inlet and Port Albert, Anderson Inlet (Inverloch) and two waterways: Lake Tyers and Shallow Inlet. (refer map). (By comparison, Sydney Harbour managed waterways total 55 square kilometres and Melbourne’s Port Phillip Bay totals 1,934 square kilometres in area.). The website provides details on Gippsland Ports’ operational responsibilities and services that can be provided for commercial return. The website has been developed to assist boaters to safely enjoy their time on the water, to promote Gippsland Ports’ capabilities and to provide access to online resources. Users should also be aware of our Facebook site, which provides ad hoc information, images and blogs as they arise. The website provides details on Gippsland Ports’ operational responsibilities and services that can be provided for commercial return. The website has been developed to assist boaters to sately enjoy their time on the water, to promote Gippsland Ports’ capabilities and to provide access to online resources. User should also be aware of our Facebook site, which provides adhoc information, image and blogs as they arise.